How to Make Rich Snippets for Book? Users often hunt for a book online. Attractive schema markups make it easier for users to discover books and authors within search results. As an e-book publisher, you can create a relative markup for your book so that users are encouraged to purchase immediately after finding it in the search results. 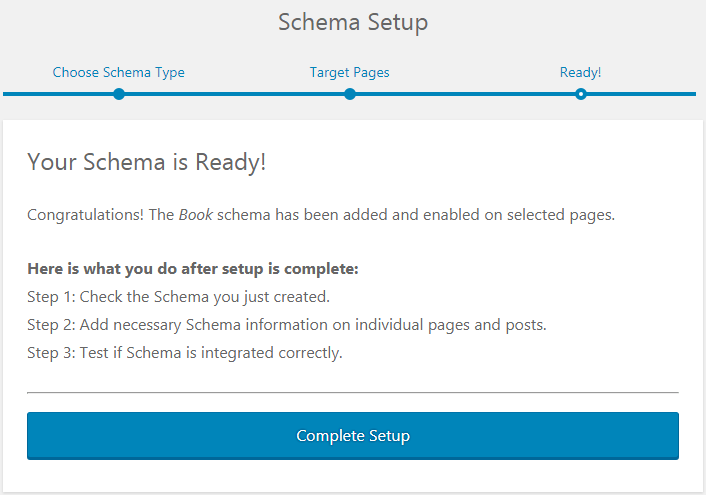 Step 1: Select Book as your Schema type. Step 2: Set enable on rules by selecting posts you wish to use this schema for. You can select multiple pages and posts you wish to add the markup to. 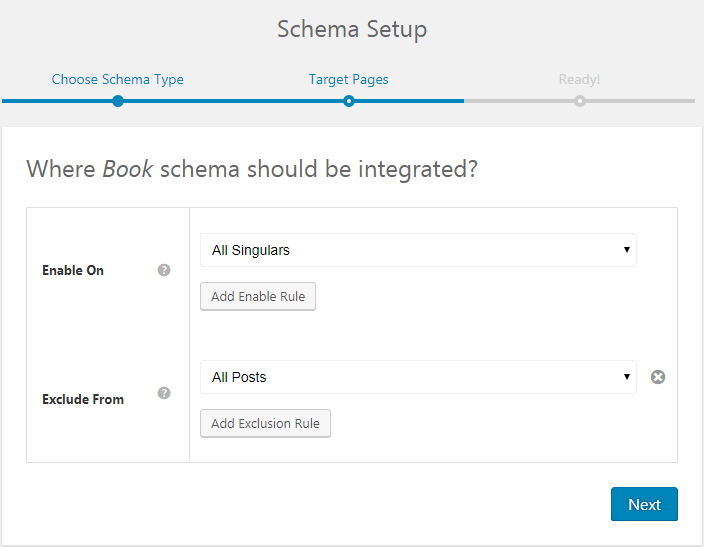 Schema Pro also allows you to add exclusion rules for certain pages and posts. Step 3: Complete the setup and make sure you check the mapped fields, add necessary schema information on individual posts and pages and test the schema. 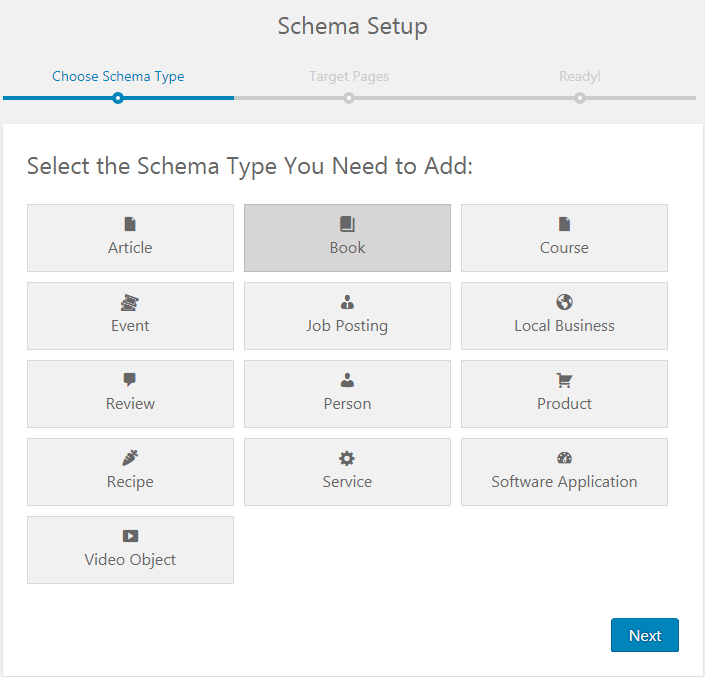 Schema Pro maps the schema fields with global and meta options, custom URLs, etc. It is recommended that you check the mapped fields after completing the setup.